10) Select Log on using and enter your information as shown below. Note: Be sure you enter your password correctly. Passwords are case-sensitive. 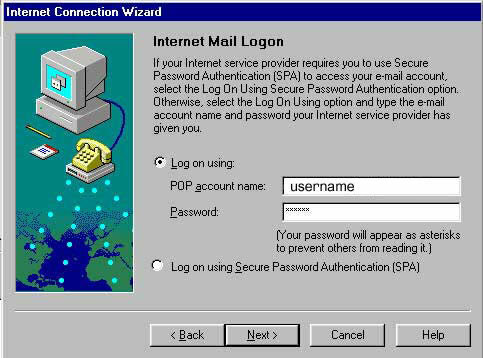 12) In the Internet mail account name box, enter a "friendly name" for your account. Note: This can be anything you want. If setting up multiple accounts you may want to give each account a slightly different name, i.e. 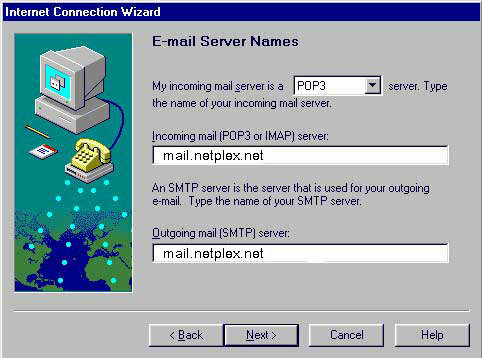 "netplex.net-Bob", "netplex.net-Mary" etc. 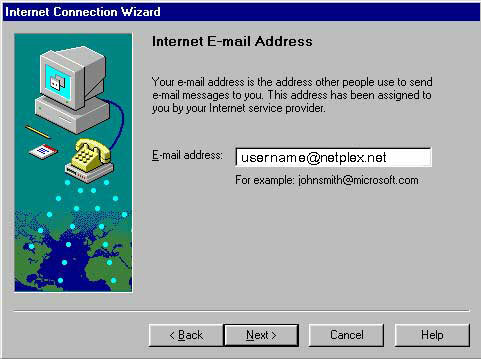 14) Select Connect using my phone line if you use a dialup connection, OR Connect using my local area network (LAN) for all other types of internet connections. 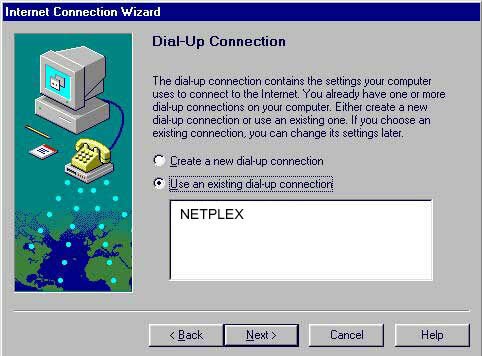 16) If you selected Connect using my phone line in the previous step, select Use an existing dial up networking connection and make sure the connection name for NETPLEX is selected.